What you think Gals? 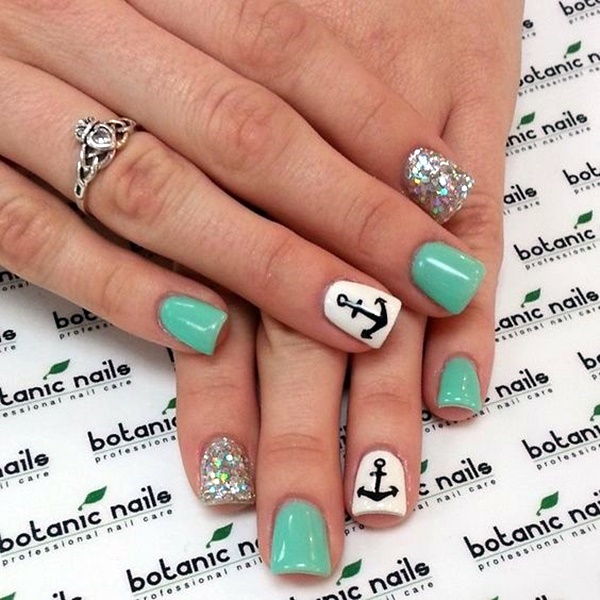 Isn’t it, summer is the perfect time where you see various latest trends making their place in the fashion world – not just with the clothes but with nail art designs too. Every year you may witness different colors as being in the latest trend because colors reflect the user’s mood and can even evoke certain feelings…Yeah! 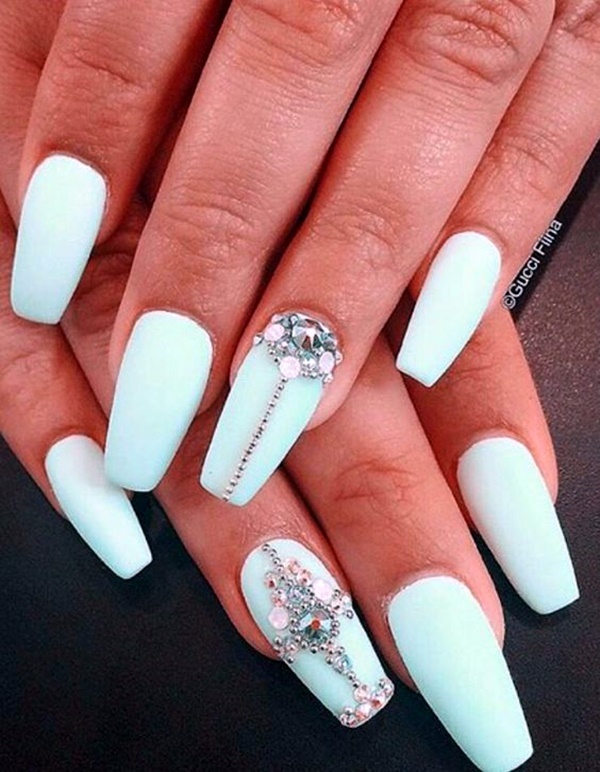 Today, in this article we are going to tell you what does mint green nails with design say about your personality and what you can do to create strong impression on others. 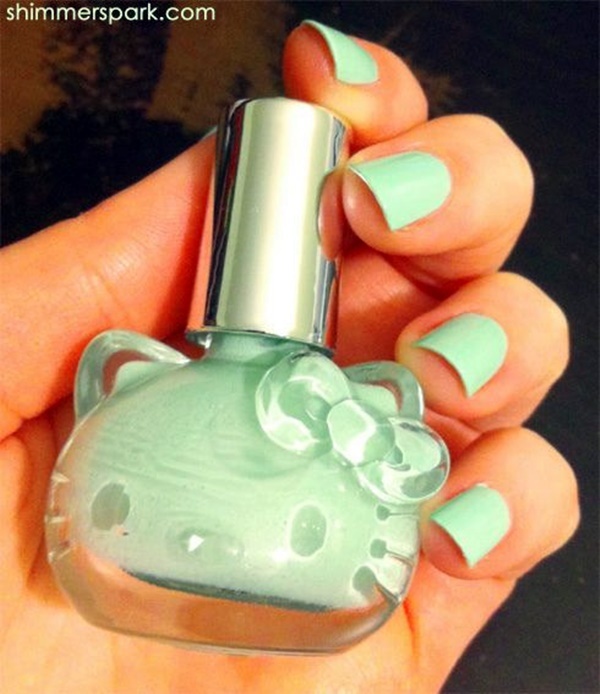 Do you know soft and pastel colors like mint are the best choice for cute nail art? 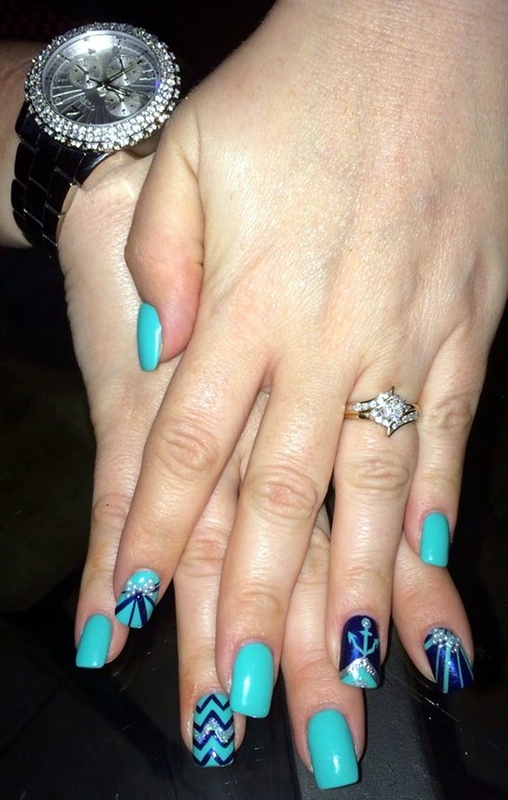 You may find many interesting and creative themes from where you can draw inspiration to achieve a perfect nail design in mint colors. For nature lover, mint green color symbolizes eco-friendly, success, joy, fertility and hope. Yes, it’s correct to say – green color has been proven to provide a soothing or relaxing touch to our senses. Pick the colorful and sparkly lacquers to start off your manicure intervention. 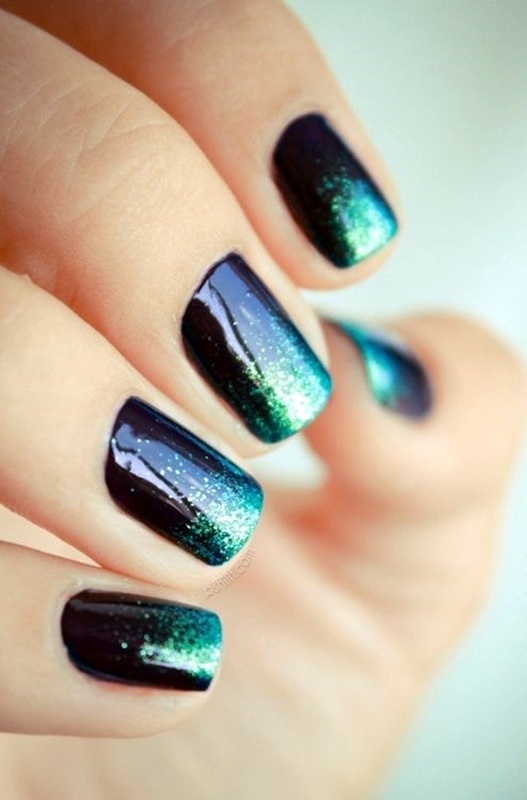 For sure, winter nails art and colors would brighten up your style statement. 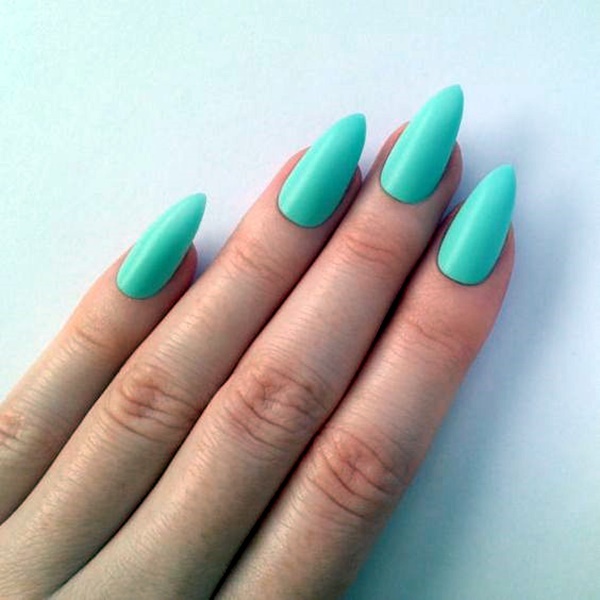 So, experiment with your creative skills and try different mint green ideas for your nails! Check out some spectacular designs! Love to try tricky things? Leopard print is the popular choice by women of all ages. 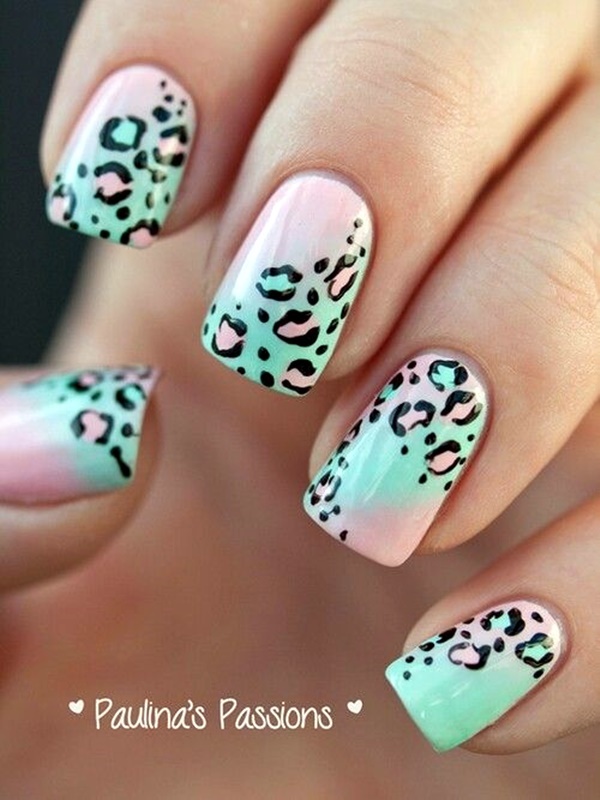 Start with simply painting the base of your nails with mint green polish and then draw gorgeous leopard print pattern over your nails. To make it look more wild or attractive, sprinkle some glitter to be on top among your friend circle. 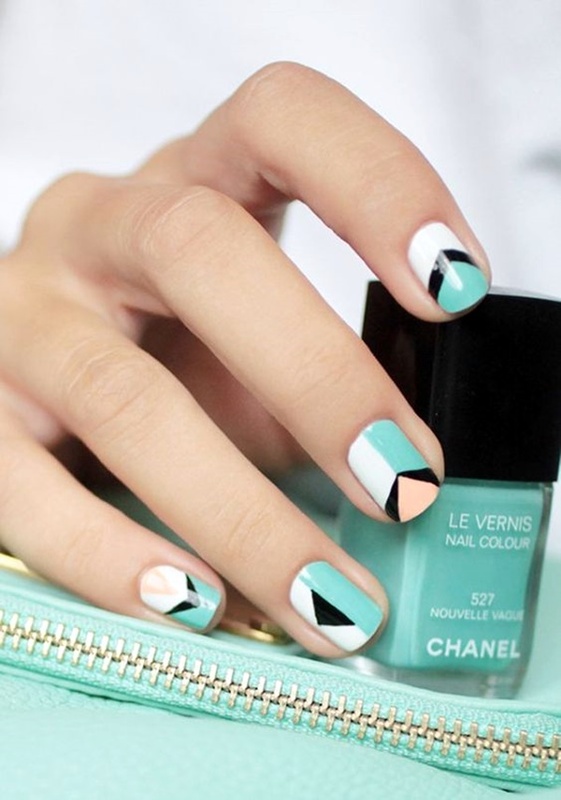 Are you in search of perfect mint green nails with design? Surprisingly, chevron patterns are easy to try out and look cool on everyone! 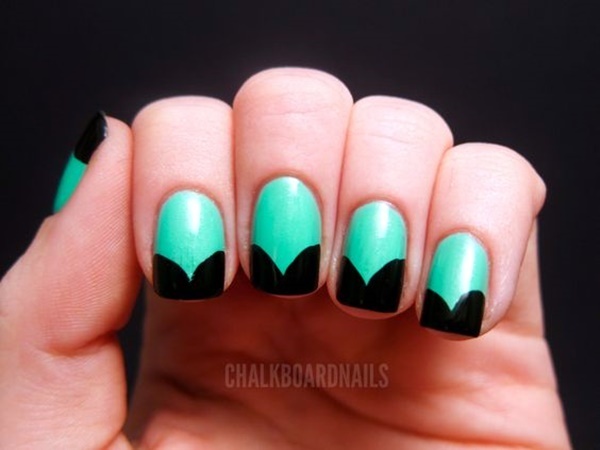 Simply use mint polish in combination with other polish colors to create an eye-catchy chevron pattern. To give your nails an attractive edge, adding 3D rhinestones and stickers is a superb alternative! Pastel nails designs are also easy and interesting to do that you can even carry out them at your home. How attractive? You’ll going to love this soft and crispy polka dots pattern! 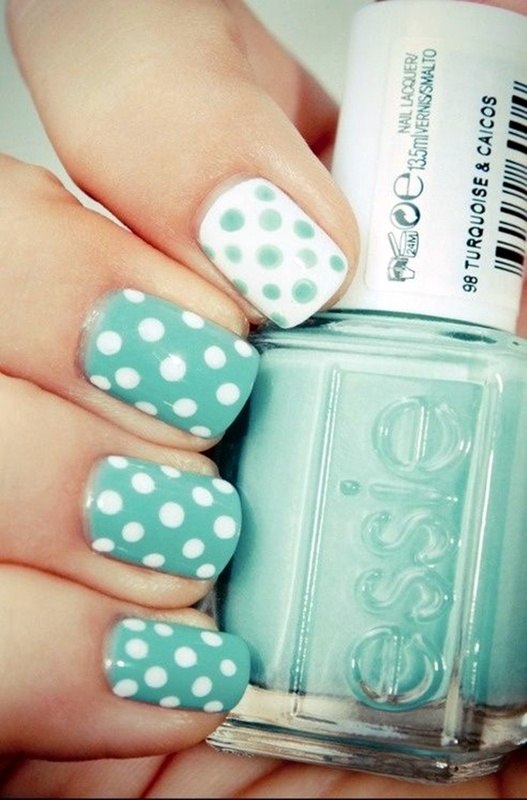 You can easily achieve this design by painting the base with dark mint green shade and using dotted tool place some light green polka dots over the nail. 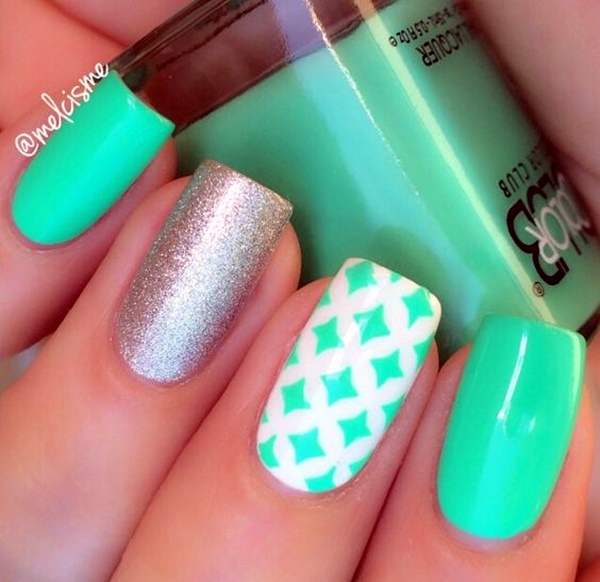 You can even stick colorful beads to enhance the beauty of your green mint nails. The color of nature ‘Green’ is pleasing to look at, isn’t it! To achieve superb summer nail design, you can choose to do a French nail art with any color combination as per your wish. If you’re going out for party, just pop on some 3D stickers or stones over your design and you are set to go! Hey…LADIES! 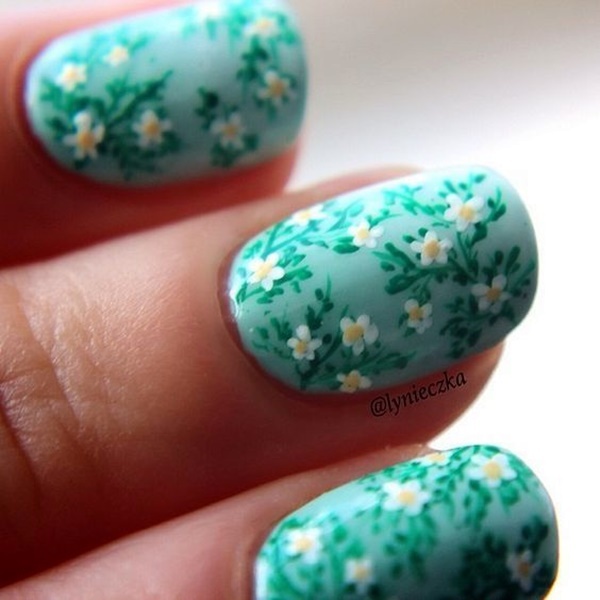 Are you extremely fond of floral mint green nails with design? Then, choose from wide range of bold floral patterns to subtle designs…. OMG! 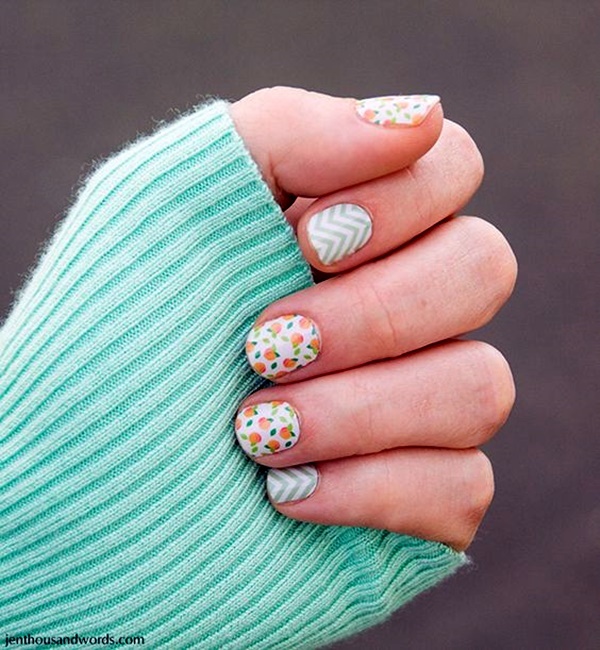 Just try this floral mint green pattern for a unique look and add a topcoat of glitter on it to make it look more graceful. After drawing flower petals, you can stick studs for more charm! 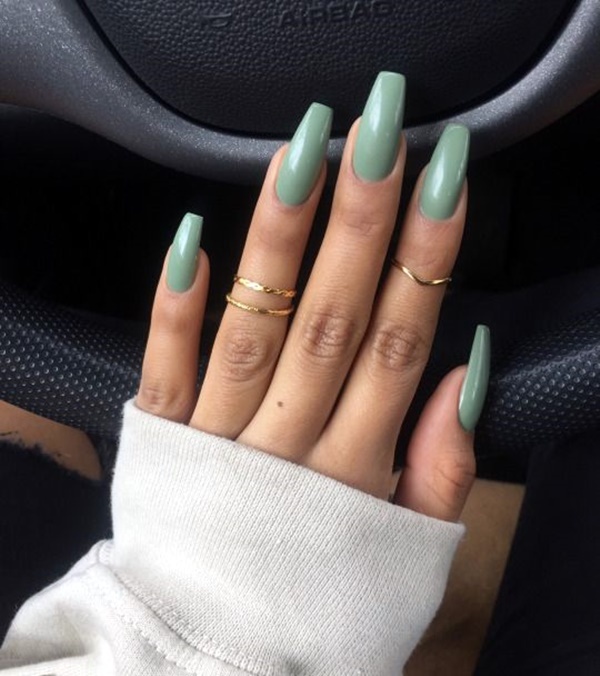 Look different this festive season; color the tips of your nails with a green tinge! Kisses are great for romantic feel and …yeah, no biting now! Mix the color well and give a clean and neat look to the kisses style. 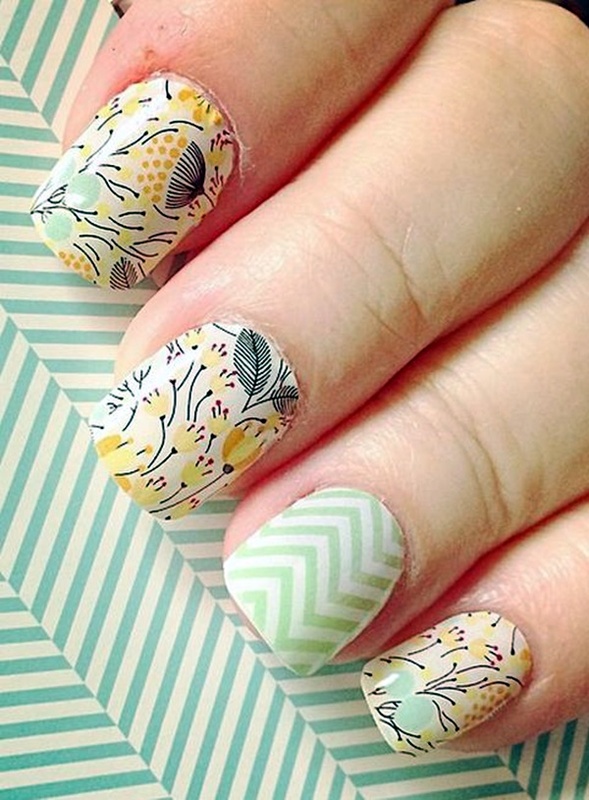 Create it carefully using nail art tools. 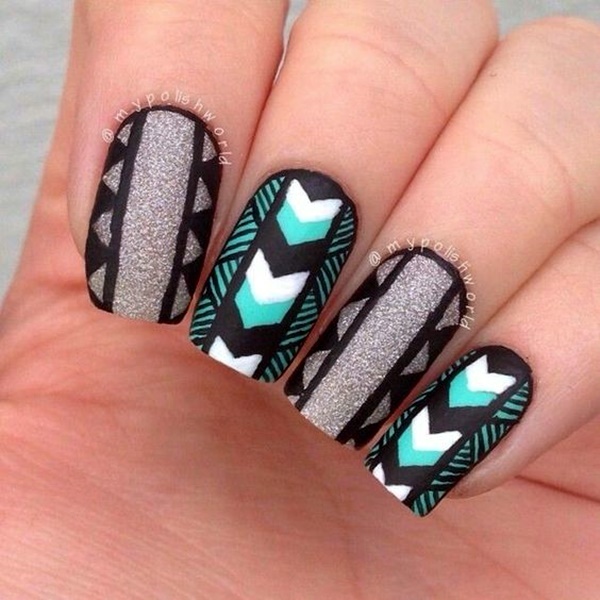 As far as, beautiful tribal nails art is concerned, it’s extremely catchy and attractive! Hey…Beauties! Be ready for a trendy and chic look. Life is short, stop looking boring! Do you want to add right amount of joy to the very special day of your life? Try this…Ladies! 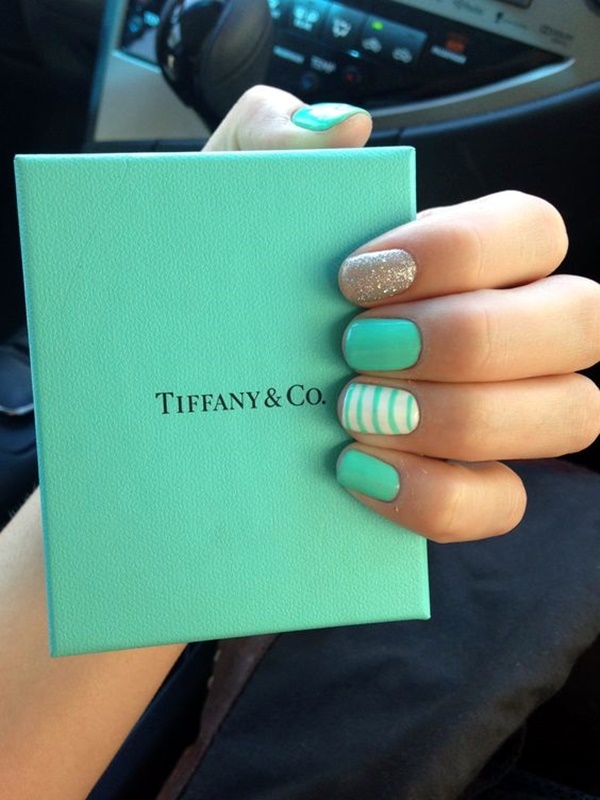 Apply mint color on the base and place anchor on each finger of your hand to make your celebration more special and delightful. So, ORIGINAL and GORGEOUS! 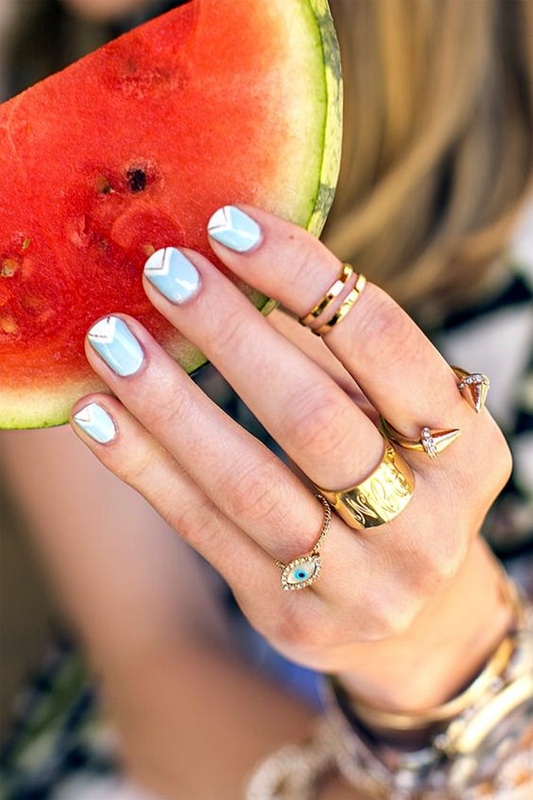 Add in some stickers and nail studs to really make your nails look good! Pick your favorite hue and pattern out of our awesome collection of mint green nails with design and see how the color changes your mind and lifestyle.